That Infinity War Ending: Oh, Snap! Did [SPOILER] Just Die? – Guardians of the Galaxy Edition. As I discussed in my last Marvel post, I thought it was time to discuss Avengers: Infinity War. Some of you still haven’t seen it. That’s OK. You can read this non-spoilery post on my upcoming writing projects instead of this post, which contains DEFINITE SPOILERS for Avengers: Infinity War, POTENTIAL SPOILERS for pretty much every film afterward, and PROBABLE SPOILERS for any MCU movie you’ve not seen leading up to this. OK, so let’s get down to it. Those of us who’ve seen Infinity War, know Thanos won. 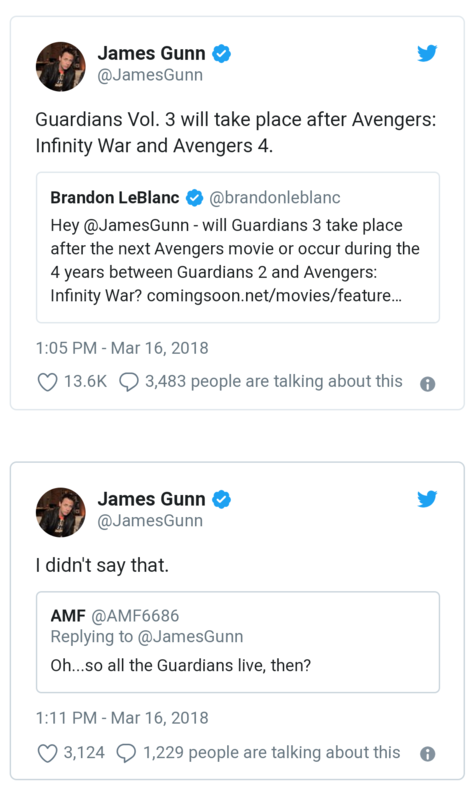 He snapped his fingers and half the universe became dust in the wind. Then he got away. In our last post, we discussed the people who died before the Infinity Snap. We know that Xandar was devastated and half the Asgardian refugees were slaughtered. In the wake of the Infinity Snap, it is likely that only a quarter of those two populations still exist. We also witnessed the individual deaths of Heimdall, Loki, Gamora The Vision (twice!) and possibly The Collector. Now we turn to those individuals who perished due to the Infinity Snap itself. I still remember the hush of the theater and the feeling of disquiet as we watched our beloved heroes fade away from existence. The stunned silence continued on through each shocking demise and through the single midcredits scene, where two more of our heroes perished. Since some of these guys have movies coming out later, most notably Spider-Man and Black Panther, it seems likely that their fortunes will be reversed, especially since Doctor Strange said that this series of events was the only possible way to defeat the Mad Titan. Another thing to consider is that most of the actors signed a standard 6 movie deal with Marvel, which does not include cameos. I expect that means an eventual victory for our heroes. With that in mind, let’s discuss who perished. The Guardians of the Galaxy took a pretty disproportionate hit in the Infinity Snap. By the time it was over, only two Guardians (or maybe three) remained onscreen. Star-Lord. Peter Quill faded with the snap, but in the wake of the first Guardians movie, Chris Pratt told GQ that he’s signed up for “two more Guardians plus another couple,” meaning he likely will have his fate reversed in order to appear in Guardians of the Galaxy Volume 3. He is also officially listed as part of the cast of Avengers 4 at IMDB. The problem is that Shuri and Star-Lord don’t share any scenes in Infinity War; however, it is known that Infinity War and Avengers 4 were filmed back-to-back, so there’s a good chance she’s talking about Avengers 4. Like Drax, she faded but has been confirmed for Guardians Vol. 3 and she’s officially listed for Avengers 4 at IMDB. Bummer. Groot. I am Groot. I am Groot. …I am Groot. But seriously, we just got Groot back! (Sort of. Keep reading.) James Gunn made Teen Groot’s demise all-the-more painful by revealing that Vin Deisel’s script, which gives Groot’s lines in English so that he can give the voiceovers the proper tone, has Groot’s last line as “Dad!” Oh, the feels! Poor Rocket Raccoon! 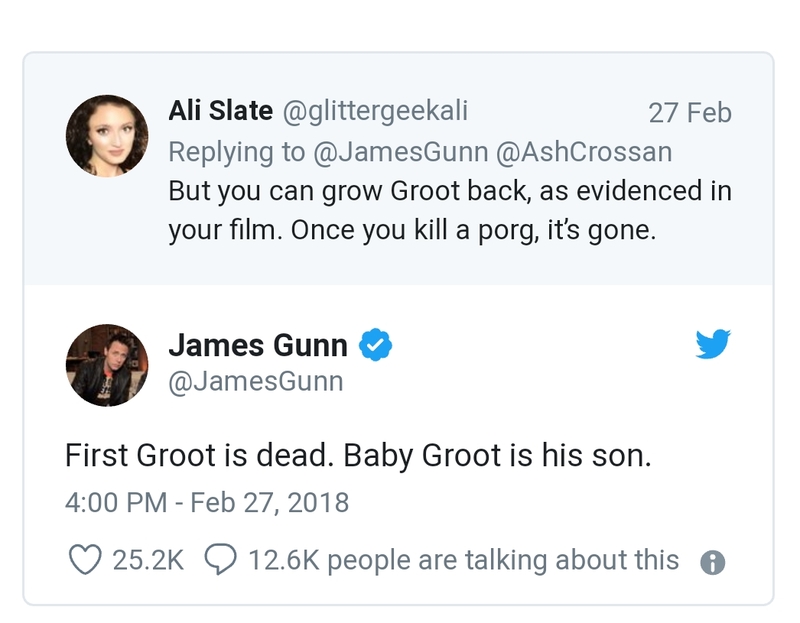 In answer to a fan tweet about the possibility of growing Groot back again, James Gunn let us know that Groot actually died in Guardians of the Galaxy. That’s right. Teen Groot is Groot’s son. And Rocket is Teen Groot’s daddy. I can wait if you need to ugly cry. We understand. We’re all friends fans here. Even still, maybe we haven’t seen the last of Treebeard’s long lost cousin from outer space. Teen Groot is included on the cast list for Avengers 4, so he’s basically in the same boat as Star-Lord, Drax and Mantis. Teen Groot is confirmed to appear in Avengers 4 according to IMDB. Yeah. 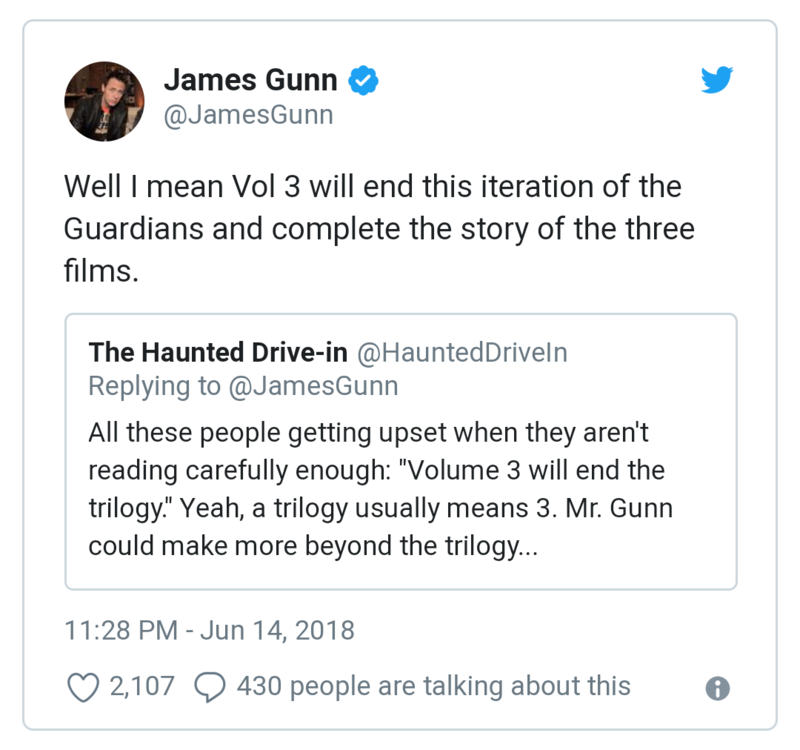 You could definitely make a Guardians 3 set between Guardians 2 and Infinity War, but they would also have to give us a pretty compelling reason why we should watch something that would feel pretty anticlimactic. Thankfully, this isn’t going to be the case. James Gunn has already confirmed that Guardians of the Galaxy Vol. 3 takes place after Infinity War and Avengers 4. My money is on a plot that continues to follow the Infinity Gauntlet storyline and sees our heroes resurrected. They could assemble their own Gauntlet from different realities, but they’d have to set aside the established comic book rules that prevent Infinity Stones from affecting any reality but theit own. Time travel really seems like their only plausible rescue method, but we’ll have to wait and see. In our next Marvel post, we’ll look at the Avengers who died in the Infinity Snap. Infinity War: What About Those Deaths Before the Infinity Snap?